It all began about 3+ years ago when faculty colleagues from the Communication Studies and Anthropology Departments approached me and posed this question: How would you like to go to Africa? Well, actually I had really never considered it. The extent of my prior travels abroad consisted of Canada and Mexico to popular vacation spots, and if I were to travel abroad, I would have told you I wanted to go to Europe or the British Isles. Well, as you can imagine, I must have changed my mind or you wouldn’t be reading this blog. Back to the story…My colleagues had been approached by a non-profit organization called Busoga Trust America, who partners with rural Ugandans to develop safe water sources, implement sanitation systems, and provide health and hygiene education, for help in assessing the impact of their program on the lives of the people of the Masindi Region of Uganda. My role would be to investigate the impact on health outcomes. Our initial attempts for grant funding through our university failed but in the summer of 2008, after a new colleague joined our efforts, the Director of Global Education, we submitted a proposal to the Philadelphia Global Water Initiative (PGWI). PGWI works with Rotary International to help them find viable projects to fund. Our project was approved and posted by Rotary for funding by a local community but as you recall, that was when the economy tanked and our project was never “picked up”. I’ll stop here for now… to be continued…. Oh, by the way, the blog banner across the top of the screen is a home in the Masindi region of Uganda, taken last summer by a colleague. 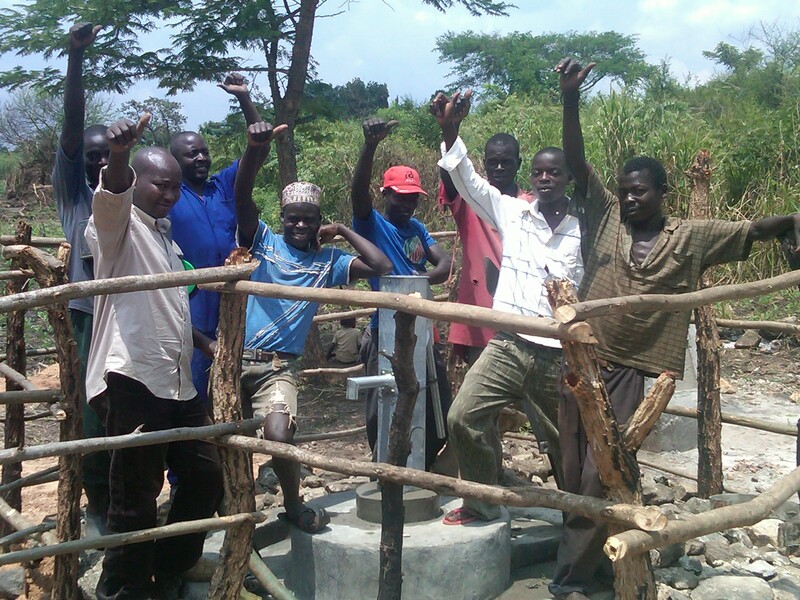 The picture of the men celebrating the new well is an example of BTA at work in Masindi. What a great idea! I’m excited to follow your journey.